» How to Take Care of a Baby Squirrel? Whether you’ve come across an orphaned baby squirrel or you have one as a pet, it’s important to take proper care of it. Those little creatures are completely defenseless and they’ll be heavily dependent on your love and protection. When it comes to giving the little ones the best living conditions, there are a couple of essentials to keep in mind. The first and most important thing to do is make sure that the squirrel is indeed an orphaned one. 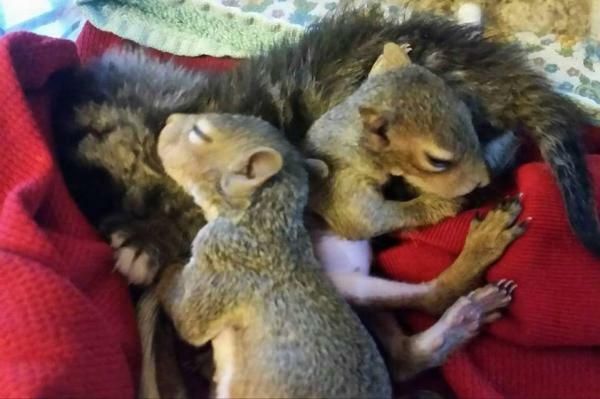 If predation of the nest has occurred or the squirrel nest is destroyed by winds/a storm, the squirrel baby is orphaned. A mom is also unlikely to reclaim a cold baby because she’ll see it as either dead or ill. It may be important to attempt the rehabilitating the squirrel baby before attempting to reunite it with its mom. If you’ve ever come across a baby squirrel or you’ve seen a picture of it, you know that it’s an incredibly tiny and fragile creature. The first rule of keeping it safe is to work on always picking up the baby squirrel gently. You may want to wear leather gloves to keep your hands safe. Pick up the baby squirrel the first time around and check for any injuries to its body. There may be wounds, bleeding or bumps. If you seen any of those, take the baby to the vet. An experienced professional will be capable of doing a thorough assessment. A baby squirrel should also be kept warm at any given time. One important fact to keep in mind is that a baby squirrel can’t generate its own body heat. You may want to wrap it in a heating blanket or tuck a warm bottle water underneath. A baby squirrel will feel most comfortable at a temperature of about 37 degrees Celsius (99 degrees Fahrenheit). Place the baby squirrel in a container and cover it partially with a towel. This will be sufficient to keep the heat inside. The next order of importance is making sure that a baby squirrel is properly hydrated. The baby squirrel is already traumatized by the fact that it’s been separated from its mom. In addition, it’s most probably dehydrated. Don’t start the baby on milk or another kind of formula. Food happens to be much less important that rehydrating a baby. Even if it looks healthy, chances are that it’s dehydrated to some degree. Pedialyte is a fruit-flavored solution typically used for kids. It’s ideal for hydration purposes and it also contains important electrolydes. 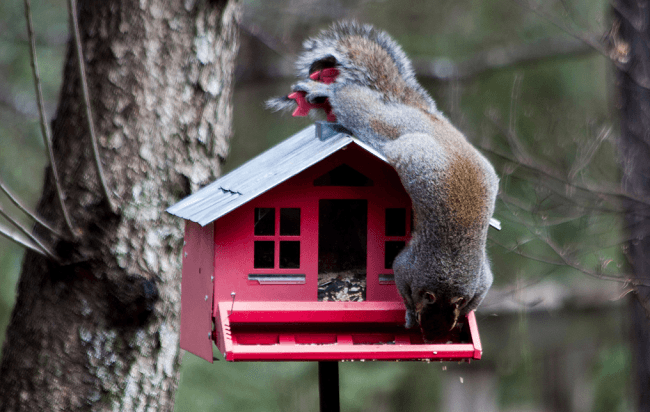 Don’t try to make the squirrel drink and eat at the same time. When water and food mix in the digestive tract, the nutrient absorption isn’t going to happen in an optimal way. The first few feedings should consist solely of Pedialyte. Make sure that the liquid is heated to body temperature before giving it to the baby squirrel. If it’s refusing to drink, you’ll need to call and see a vet immediately. Now on to food. An oral feeding syringe or the nursing bottles found in pet stores are ideal for the purpose. Start with the smallest feeding syringe you can find and the quantity can be increased later on. Puppy milk replacement milk is ideal for the purpose – it will come closest to the mother’s milk and its composition. Go slowly – don’t squirt the entire syringe in the mouth of the baby squirrel. If necessary, practice emptying the syringe in a bowl a few times to get a better feel. Once again, the formula should be heated to body temperature. One other very important thing to keep in mind that baby squirrels aren’t going to pee and poo on their own. If you don’t stimulate them, they could get a bloated tummy and potentially even die. Soak a q-tip in some warm water and gently wipe the genital region of the squirrel. This should be sufficient to get it peeing and emptying its bowels. If the baby squirrel is still dehydrated, it’s not going to urinate. Try giving it a bit more liquid and attempt once again. Talk to your vet about any questions you may have, including reintroducing the baby squirrel to its mom. It’s better to be safe and ask a question you perceive as stupid than to harm the little creature.